Prior to co-founding Rodan Energy in 2003, Paul was a corporate and investment banker with CIBC World Markets and later practiced corporate finance and M&A law with Gowling Lafleur Henderson LLP, one of Canada’s largest national law firms. Paul is a member of the Law Society of Ontario and holds a Bachelor of Political Science degree, a Bachelor of Laws degree and a Master of Business Administration degree. In her role as Rodan Energy Solutions’ Vice President and General Counsel, Rachel brings more than 20 years of experience in corporate and commercial law. She was the General Counsel for KremeKo Inc. (Krispy Kreme Canada). Before joining Krispy Kreme, Rachel was a partner at the law firm Blake, Cassels & Graydon LLP in Toronto and practiced extensively in the areas of mergers and acquisitions. Rachel holds an Honours Bachelor of Arts in English from the University of New Brunswick and a Bachelor of Laws from the University of Western Ontario. Rachel is a member of the IESO Stakeholder Advisory Committee, the Ontario Energy Board Industry Affairs Standing Committee, and several committees of the Board of the Ontario Energy Association. As Rodan Energy’s Chief Operating Officer, Ted is responsible for executing Rodan Energy’s innovation and growth strategy focused on driving exceptional business performance and delivering on key strategic priorities. He is an integral member of the senior leadership team and responsible for the development and management of the overall business operations. Before joining Rodan Energy, Ted served as the Chief Financial and Operating Officer with a leading energy storage company. For 18 years, he worked with the Independent Electricity System Operator of Ontario, holding various senior management roles including Vice President, Markets & CFO where he led the market design and development function for the Ontario wholesale electricity market. Ted is a Chartered Professional Accountant (CPA, CA) and obtained an Honours Bachelor of Commerce degree from Laurentian University. Rahi Nathwani brings over 20 years of financial management experience with expertise in strategic financial planning, mergers and acquisitions, complex financial reporting and analyses, and business process transformations. Rahi’s experience most recently included 8 years at Algonquin Power and Utilities Corp. where he worked extensively to facilitate and integrate significant expansion in the business. Prior to Algonquin Power, he spent 8 years at PwC focused on growth stage businesses in the life sciences and technology sectors. Rahi completed his university education in England and holds the Canadian CPA, CA, and US CPA designations. In his role as Managing Director, Jason Zimmerman is responsible for the successful leadership, management and growth of Rodan Energy Solutions in western Canada. Primary responsibilities include ongoing business development and overall operational management. Prior to joining Rodan, Jason worked for TransAlta Corporation where he held several positions, including Commercial Manager, Land & Supply Chain Management; Consultation & Stakeholder Engagement Manager, and Commercial Manager, Transmission. 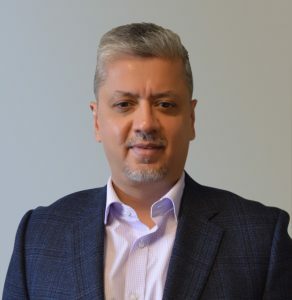 He has also held several business development and marketing roles at Avocent Canada Corporation, Cendec Systems Inc., and Lexis Nexis Canada. Jason holds a Bachelor of Commerce, specializing in Marketing from the University of Saskatchewan. In his role as Managing Director of Business Development, Willie Grove is responsible for leading Rodan Energy’s offerings to Canada’s largest and most sophisticated energy users in the commercial, industrial, municipal, and institutional markets. With over 8 years of demand management experience from various jurisdictions within Canada, he has managed hundreds of megawatts of load and their usage to maximize revenue and savings opportunities. In the demand response sector, he is regularly published and considered one of the most knowledgeable professionals in the country. 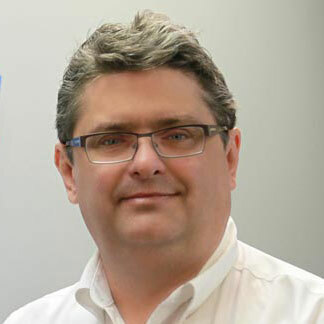 He has helped customers of all sizes by understanding their business needs and providing opportunities for organizations to participate in demand response initiatives across North America. In addition, he has successfully delivered customized Rodan Energy Solutions’ programs in metering, data management, and monitoring systems, commodity procurement, bill verification, and CDM initiatives for his clients. Before joining Rodan Energy Solutions, Willie has garnered significant sale management experience in numerous industries including energy procurement, consulting, consumer goods, and services. Willie holds an economics degree from the University of Waterloo. 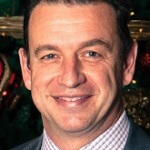 Rick Goddard is the Director of Market Analysis and Strategy for Rodan Energy. In this capacity, Rick is responsible for the Network Operations Centre (NOC), which coordinates the operational and technical aspects of Rodan Energy’s Demand Response programs and MSP communications services. The NOC dispatches and monitors all commercial and residential Demand Response activities, provides M&V services, commissions new metering points and resolves Meter Trouble Reports (MTRs) issued by the IESO. Since joining Rodan Energy in 2005, Rick has been instrumental in the development and execution of highly specialized projects in the areas of metering, data management and presentment, communications, and energy management. His previous experience in electronics design and as the Technical Director for a major Canadian manufacturer of power quality data loggers affords him a unique perspective of smart metering and smart grid technologies. Rick received his Electronics Engineering Technology Diploma from Sheridan College of Applied Arts & Technology and is a Certified Engineering Technologist (CET). He is certified by the Association of Energy Engineers as a Certified Measurement and Verification Professional (CMVP). Mike joined the Rodan Energy team as Manager, Operations and Field Services in 2012. With 11 years of utility metering and sub-metering experience, Mike’s coordinates all operational aspects of new and ongoing projects including engineering, purchasing, training, and supervision of field staff and contractors. Mike also plays an important role as the co-chair on the Joint Health and Safety Committee as a management representative. Prior to joining Rodan Energy, Mike spent 9 years with Carma Industries, a leading multi-customer utilities sub-metering and billing solutions company in Toronto. After spending 5 years as a Project Manager / Meter Service Specialist, he was promoted to Technical Supervisor of the Toronto office for the last 4 years. Mike played a key role in the successful installation and maintenance of many large multi-customer metering systems as well as maintaining the requirements of the quality program for Measurement Canada installation verification. Mike earned a diploma in Electrical Engineering Technology – Control from Mohawk College in 2002 and is an OACETT Certified Technician. Yuri Holowatsky is the Director of Information Services at Rodan Energy where he supports Rodan Energy’s team in providing comprehensive consulting and implementation services to clients throughout North America. He also supports the development and maintenance of the technologies in Rodan Energy’s Network Operations Center. Prior to joining Rodan Energy, Yuri Holowatsky was a managing partner in Entuit Enterprise Solutions, an IT Services company. In this role he was responsible for building an IT services business in southern Ontario. The company provided a full suite of IT services: end-user support, system administration, systems design procurement and commissioning as well as software development. As Director, Talent Acquisition & HR Strategy, Natalie’s focus includes talent acquisition and the development and implementation of talent programs and HR strategies for Rodan Energy. Natalie joined the Rodan Energy team in 2005, as Human Resources Manager, providing strategic support to the leadership team in the areas of employee relations, talent management, compensation and benefits, training and development and HRIS. Prior to joining Rodan Energy, Natalie was employed at Moneris Solutions and Bank of Montreal for 10+ years, in various Human Resources roles including HRIS and Human Resources Program Management. Natalie holds a Bachelor of Commerce – Business Management and Human Resources from Ryerson University. She is a member of the Canadian Payroll Association. As an HR professional for more than 17 years, Jane now serves as Rodan Energy’s Chief People Officer, Chief Privacy Officer and Chief Security Officer. She is responsible for providing support, guidance and feedback in the areas of employee relations, talent management, compensation and benefits, training and development, as well as health and safety to the executive management team. 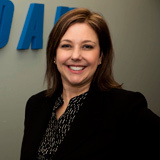 Prior to joining Rodan Energy, Jane held a number of different positions at Suncor Energy Inc. Her latest role was as a Human Resources Business Partner/Advisor where she was responsible for supporting the company’s downstream operations. She also brings a wide range of experience from the consulting and professional services industries. Jane is a Certified Human Resources Professional and holds a Bachelor of Business Administration from Sir Wilfrid Laurier University. Nishant leads the Engineering team at Rodan. Nishant supervises multiple areas, including engineering work for the company’s MSP services, external consulting services for Utility and Generation Clients, as well as oversees development of behind-the-meter generation projects. Nishant is responsible for project compliance with contract and regulatory requirements and approvals for project design. 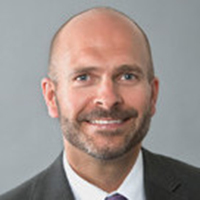 He is highly experienced in Ontario’s power sector framework and routinely consults for utilities and generation on complicated interconnection issues. He has successfully led interconnection of a number of renewable generators to the local grid by assisting a number of Utilities right from the concept thru to approvals and commercial operation. Nishant is currently a member of the IESO’s Grid-LDC Interoperability Standing Committee. Nishant has extensive experience in the Protection-Control and Substation-automation businesses. Prior to joining Rodan, he worked as an Applications Specialist with GE Energy providing their global customers with application solutions in the areas of transformer, feeder, line and generator protection. He specified protection equipment for large Oil & Gas projects. He is skilled in fault-disturbance analysis and his results were useful in optimizing relay protection algorithms. Prior to GE, he worked in the P&C department of Hydro One and was responsible for building their first-ever Substation-event data server. 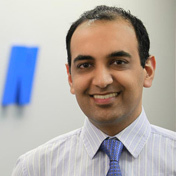 Nishant holds a Bachelor of Applied Science degree from the University of Windsor and is registered as a Professional Engineer with Professional Engineers Ontario (PEO) and with the Association of Professional Engineers and Geoscientists of Alberta (APEGA).